PSX Memory Card Manager is a very simple Playstation memory card image manipulation tool with a GUI. Combined with the right hardware, transfering data to and from a real memory card is also possible. This software was intially Linux-only but it now also runs under Windows. 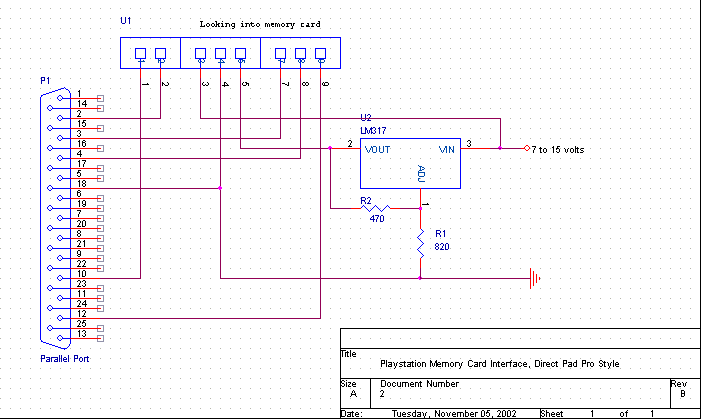 To enable memory card I/O, PSX Memory Card Manager uses the Playstation Peripheral Bus Library(psxpblib), by Richard Davies. Therefore, PSX Memory Card Manager should be compatible with all hardware interfaces psxpblib supports. Pictures of a working interface are available here.